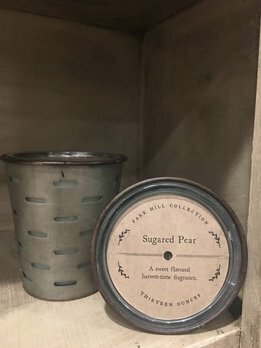 The Sugared Pear Olive Bucket is a sweet flavored scent of harvest-time. You'll love the the flicker of candlelight thru the holes in the Olive Bucket design reminiscent of a vintage olive bucket. Approximate burn time 60 hrs.